Residential Paper Shredding Service Company based in Metro Boston MA and has been serving the Merrimack Valley and Southern New Hampshire since 2007. We provide secure document destruction services to area residents, medical firms, and local accountants. We specialize in helping residents shred their old personal documents and Medical X-rays at a fraction of owning and operating a personal shredder. Our service can cost as low as 89¢ /Lbs with no minimums and no contracts. As a locally owned and operated media destruction company in metro Boston MA, we provide complete document destruction services for small business and area residents. Save time, money, and protect your identity. Shred your documents safely and at your convenience; Call us today at (978)636-0301 to make sure your documents are destroyed properly and then recycled. Also, if you work from your home, ask us about our scheduled off-site shredding service. Document Shredding has been proudly providing residential shredding services to residents of the Boston MA area since 2007. Neighborhood Parcel is a local Boston MA Media Destruction company that lives and works in the communities we serve. We bring professional shredding services to both local small businesses and residents in Greater Lowell, Boston, North Shore, South Shore and Metro-west in Massachusetts and the southern New Hampshire. We have one goal: to provide an easy and convenient way for customers to destroy their confidential documents at the lowest rates. We have achieved that by having a well trained and experienced staff that is eager to help you with all your document destruction service needs. If you discard your old personal files, medical records, and tax documents without destroying them, anyone can legally gain access to your records. From Identity Thieves, competitors, litigators, the media, etc. For local Small businesses and medical Firms: If you are not securely shredding medical, financial or other sensitive consumer information, you are breaking the law. 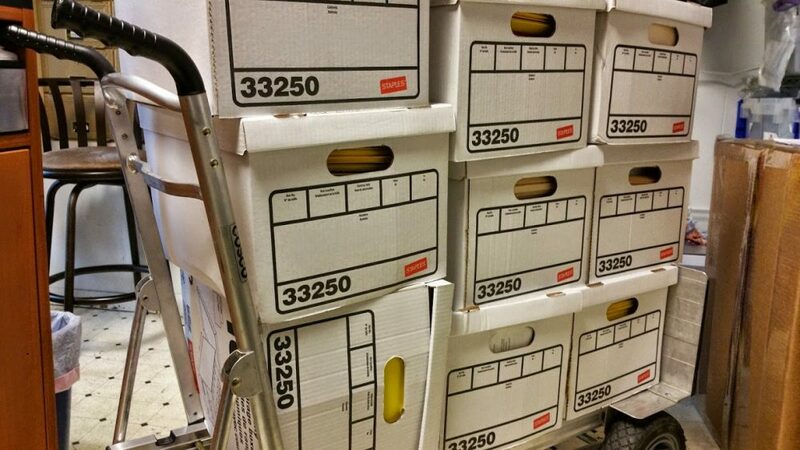 The latest HIPAA rules and MA Privacy law requires a documented destruction of your old records. 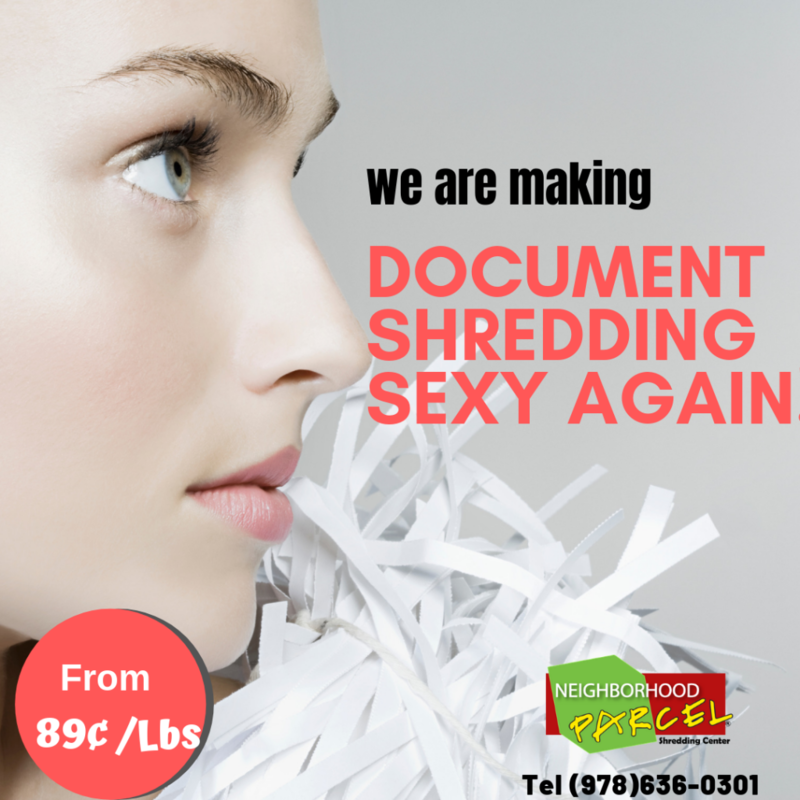 We offer an inexpensive, secure, certified solution for shredding your confidential information. Preparation of a shredding plan tailored to your office needs. Strongest Chain Of Custody In The Industry. Small, one time purges. No Contracts and No Hidden Fees. Convenient Bin rental services for ongoing destruction. Amesbury. Andover. Beverly. Billerica. Brookline. Billerica. Boston. Charlestown. Chelmsford. Dracut. Everette. Framingham. Groton. Groveland. Haverhill. Lawrence. Littleton. Lowell. Malden. Medford. Merrimac. Methuen. Newton. North Andover. North Reading. Peabody. Pepperell. Quincy. Revere. Saugus. Tewksbury. Tyngsborough. West Newbury. Waltham. Weston. Westford. Woburn. Wilmington. Worcester MA. Simply the best service for shredding my personal documents. I was wasting so much time in front of my useless shredder. I paid less than 50 bucks to shred all my old documents. The cheapest shredder at Staples was over $200. When I called Shredit and Cintas they wanted to charge me $170 minimum to send a shredding truck to my house!